The simplest way to add picture-in-picture playback to your apps is with AVPlayerViewController. In fact, after you’ve configured your audio session and set the project capabilities as described in the AVAudioSession overview, your player automatically supports picture-in-picture playback. If your app is running on a supported iPad device, you’ll see a new button in the lower-right corner of your player. Picture-in-picture playback starts when the user taps the picture-in-picture button in the player interface. Playback also starts automatically if your video is playing in full-screen mode and you exit the app by pressing the Home button. In either case, the player window is minimized to a movable, floating window. A user can disable automatic invocation for Picture in Picture in Settings > General > Multitasking > Persistent Video Overlay. Check this setting if you think you’ve set up everything correctly but find that your video doesn't enter picture-in-picture mode when you press the Home button. 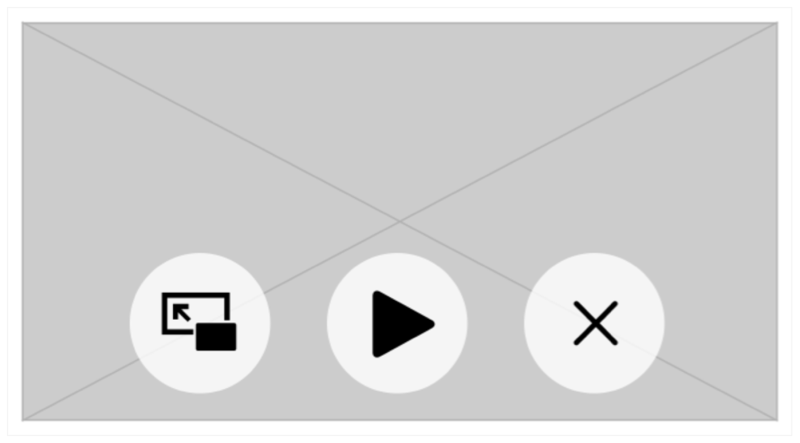 While the video is playing in picture-in-picture mode, the user has basic controls to play and pause the video as well as exit picture-in-picture playback. Tapping the leftmost button in this interface exits Picture in Picture and returns control to your app, but by default immediately terminates video playback. AVKit can’t make assumptions about how your app is structured and is unaware of how to properly restore your video playback interface. Instead, it delegates that responsibility to you. To handle the restore process, your code must adopt the AVPlayerViewControllerDelegate protocol and implement the playerViewController(_:restoreUserInterfaceForPictureInPictureStopWithCompletionHandler:) method. This method is called when control returns to your app, giving you the opportunity to determine how to properly restore your video player’s interface. 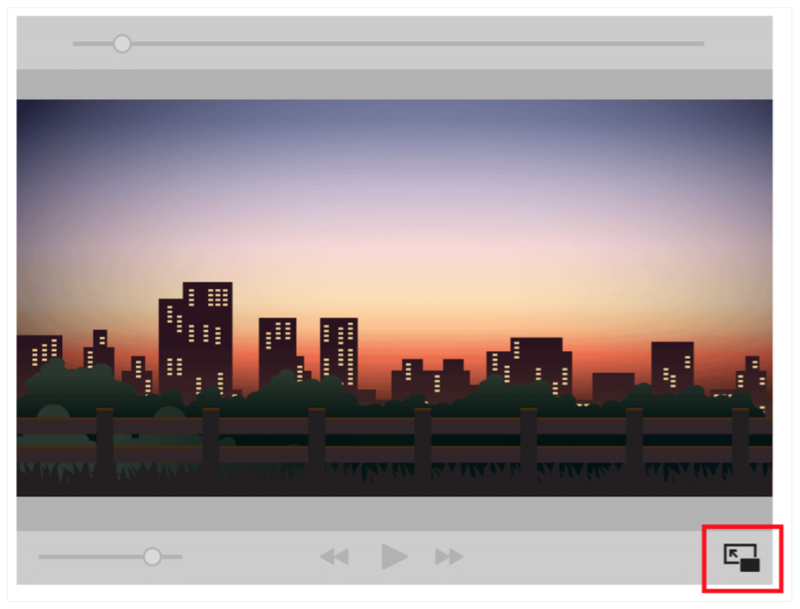 If you originally presented your video player using the present(_:animated:completion:) method of UIViewController, restore your player interface in the same way in the delegate callback method. To allow the system to finish restoring your user interface, you must call the completion handler with a value of true.